Keeping kids busy this summer doesn’t have to cost a fortune. 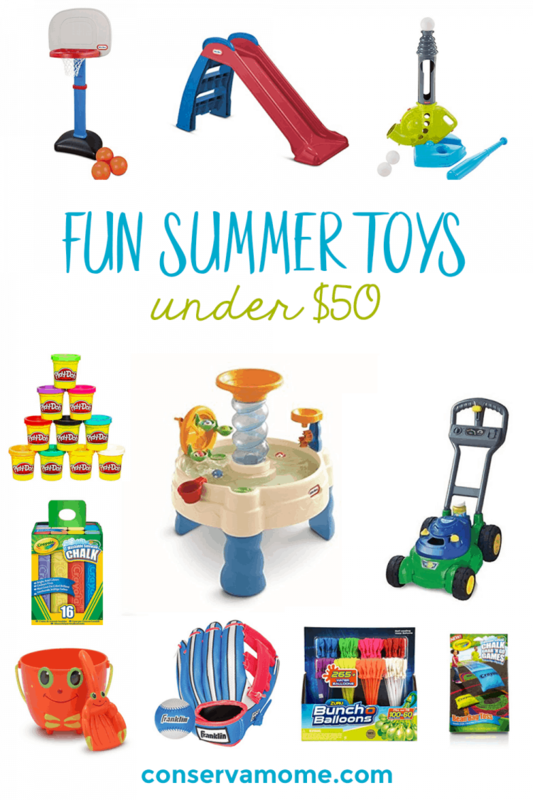 Check out Fun Summer Toys for under $50 ! Summertime brings a lot of fun and adventure for everyone. However, keeping them busy can prove to be an adventure at times thanks to all the spare time that one has during the summer. 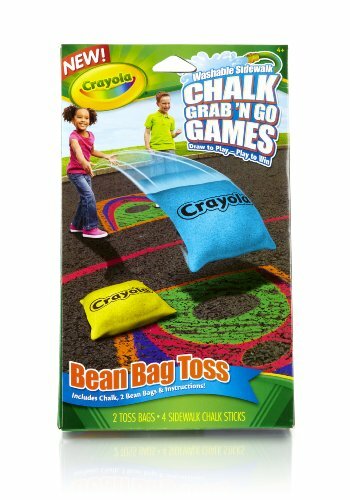 Whether you enjoy structuring summer activities or free ranging your kids during the summer here’s a fun list of Summer Toys under $50 that will be a perfect addition to all the summer fun that’s to be had. 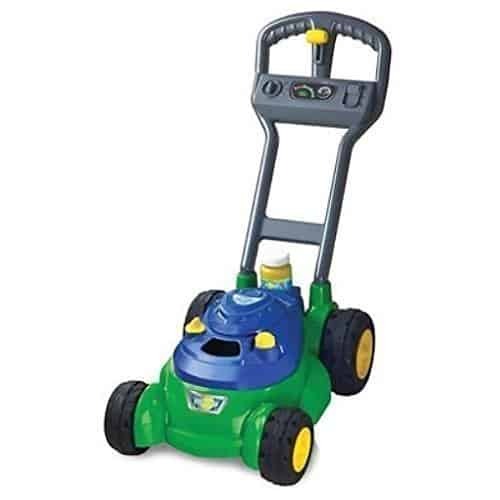 So head below and check out some of these great Summer toys that will help give your kids hours of fun and entertainment. Let your kids have a fit and fun time with this fun Obstacle course that will keep the fun going for hours! 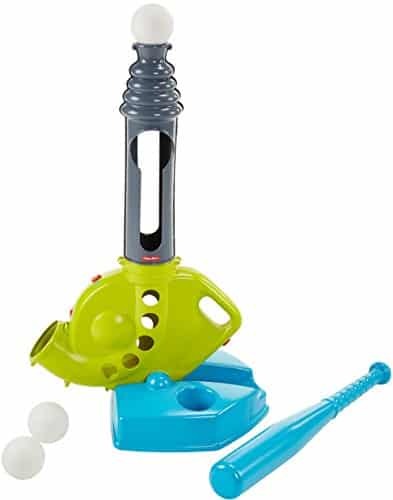 This fun toy Makes learning to hit the ball fun and easy. It has three ways to play: Beginners hit from the tee Rookies use pop-up pitch, with balls popping up automatically one after another “Pros” get three balls automatically pitched to them from up to 10 feet away! 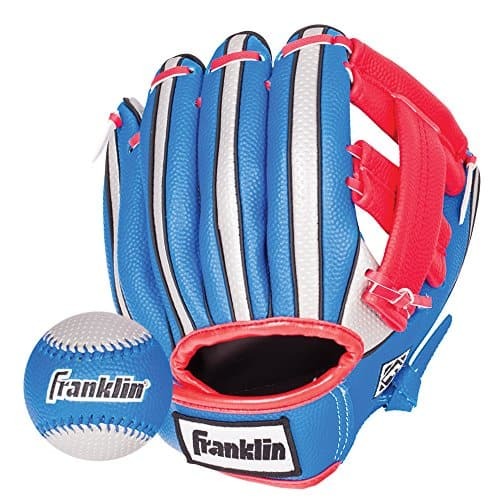 Perfect glove for the younger little ones in your family ready to join the Major leagues! 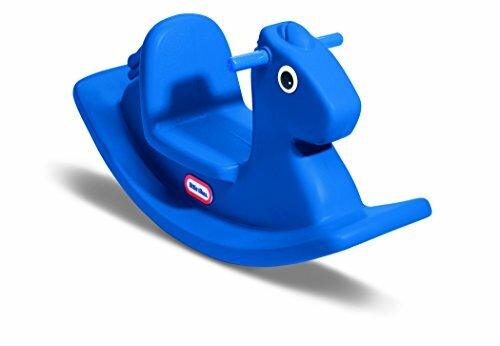 This fun toy Develops social, motor skills and coordination. 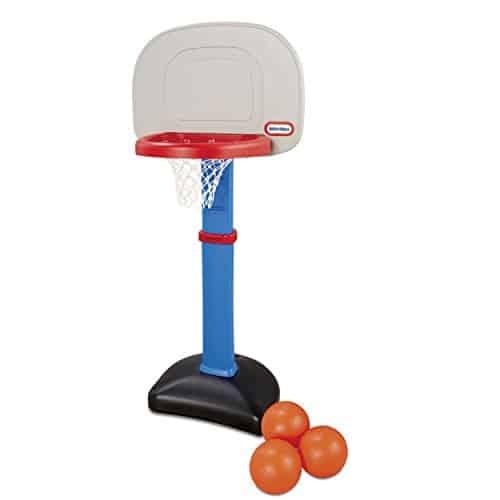 Best of all the Basketball Hoop Adjusts to Six heights from 2 to 4 feet and Includes an oversized rim and 3 junior size basketballs! 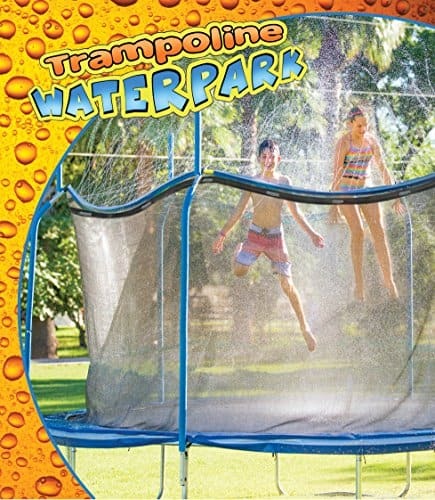 Add some extra fun to your Trampoline with the Trampoline Water park. A fun way to keep you cool while you jump! 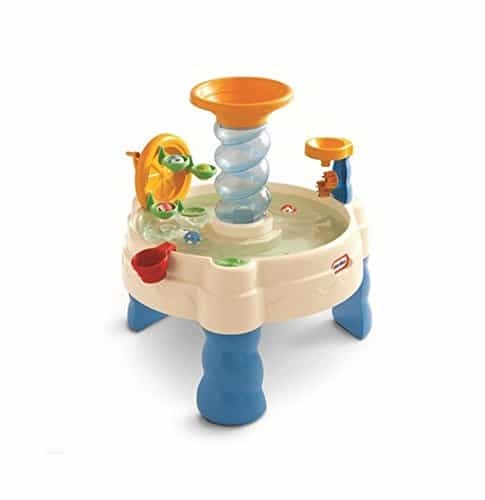 Water play table helps develop “put-and-take” and early motor skills with fun characters. Little ones will enjoy a sensory experience with the fun activities this waterpark table includes. 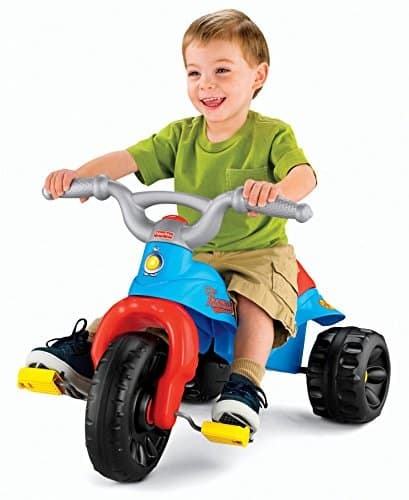 Thomas is ready for action and so will your little one with this fun tough tike! 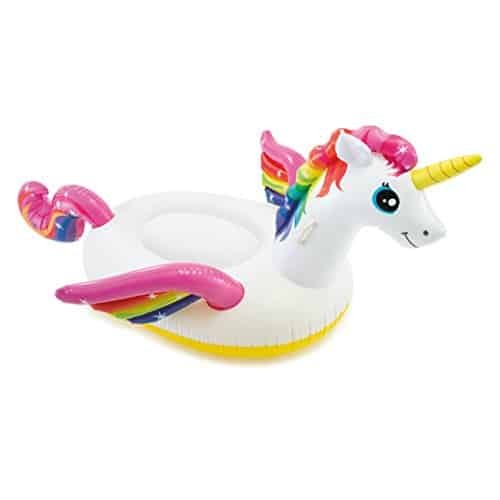 Who wouldn’t love to float into fun with this beauty? This is an exciting sand or water funnel for outdoor play and includes different layers funnel, tip, spin and sift. 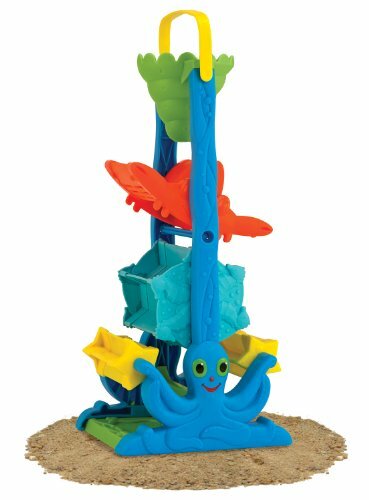 Bright colors and sea-creature decorations add to the fun and part of Melissa & Doug’s Sunny Patch. 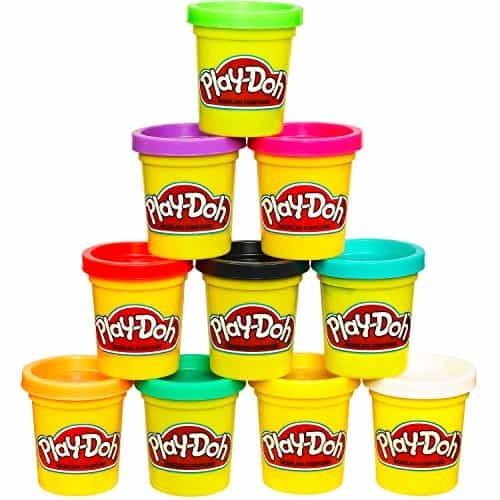 They can begin sculpting and creating fun with this 10 pack of fun colors! 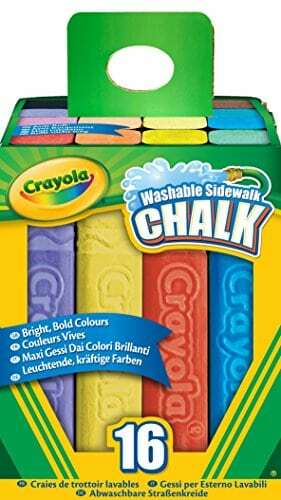 Your kids will play for hours outside with these washable sidewalk chalks that will unleash their creativity! 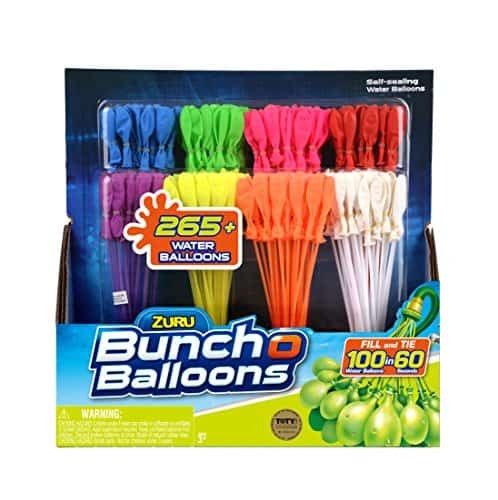 Make water balloon filling a breeze with this fun pack! 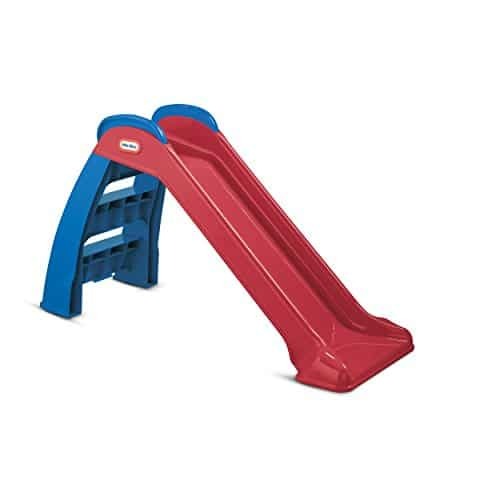 Slide into fun with this Little tikes first slide you can put anywhere! 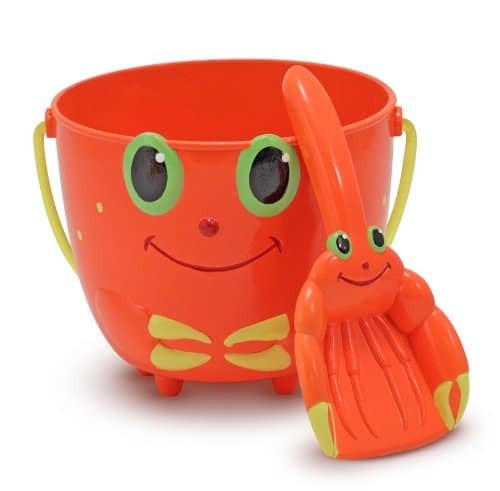 Sea-creature inspired “baking” set of sand toys. 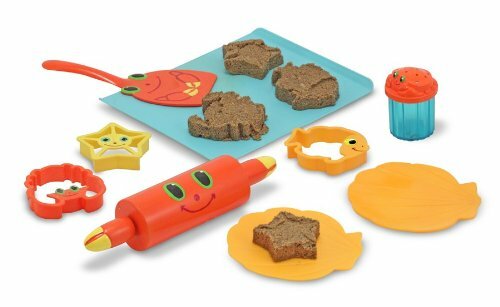 Includes 3 cookie cutters, rolling pin, crab-topped sprinkles shaker, cookie sheet, spatula and two shell-shaped dishes.Cookie-baking theme presents an exciting twist on sand toys! 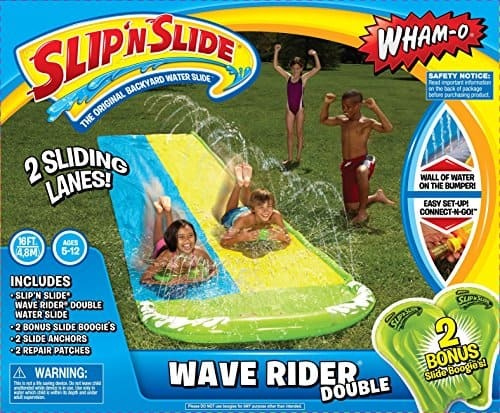 Wham-O Slip ‘N Slide Double Wave Rider. 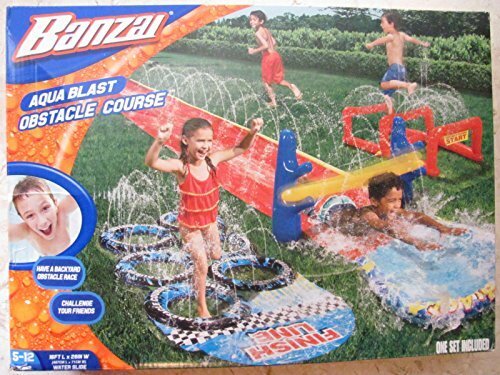 the Original Backyard water slide. For ages 5 to 12. 15 foot slide area. With 2 bonus Slide Boogies Included. Want more outdoor fun? Check out 20 Exciting Back yard experiments for kids! Lots of fun choices for the kids !